Yamaha Neo is the latest scooter with stylish looks, advanced features and greater comfort. Read the review to explore the features, technical specifications & price. The all new scooter Yamaha Neo is the latest product scheduled to release in market in early 2013 and many critics believe that this vehicle is going to create hype with its stunning looks. The simple yet trendy design of the vehicle serves as the impressive feature to pull the crowd. The alloy wheels, broader seats and good suspension makes riding the scooter more pleasurable even on bad roads. For all those who are fed up of the old modeled mini scooters, here is the fresh face to serve the needs. 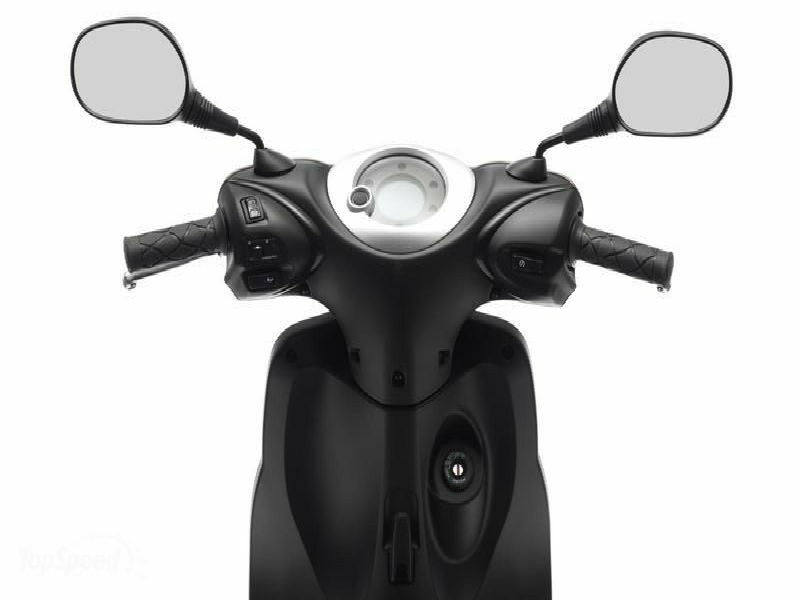 The most eagerly awaited scooter Yamaha Neo is powered by efficient single cylinder, 2 stroke, air cooled engine with the displacement of 49 cc. The maximum power generated from the engine is about 2.8 bhp at 6750 rpm and the peak torque achieved is 2.98 Nm at 6500 rpm. The power generated reaches the wheels through automatic gearbox. This potent engine is good enough to give the required zipper acceleration and great pick up even at lower speed. With its captivating looks and quality materials used, the scooter promises to hold the attention of every passerby. The chilling and eye-catching looks of the vehicle is believed to create sensation among female costumers. But this doesn't mean that it is not appealing to men as it is designed keeping in mind both the gender. The elegant and flawless design of the body with cool design of the headlamps serves as the first best impression about Neo. When it comes to comfort the broader dual seats, integral grab rails and foot rests serves as quiet satisfactory. This is a light weight friendly vehicle with automatic gearbox that assures trouble free ride. Neo comes with quality suspension including the front telescopic fork and rear hydraulic swingarm that promises the smooth, jerk free ride. 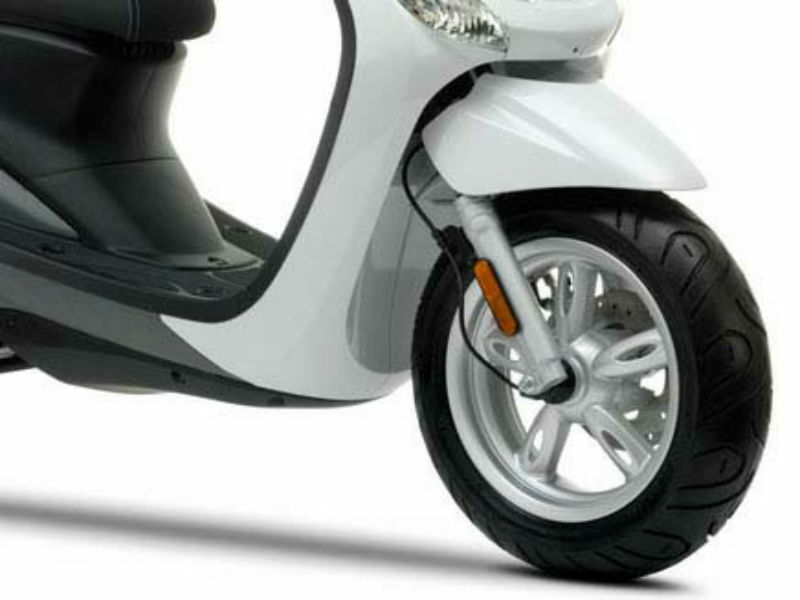 The scooter also comes with front disc brake and rear drum brake to give full control to the rider. 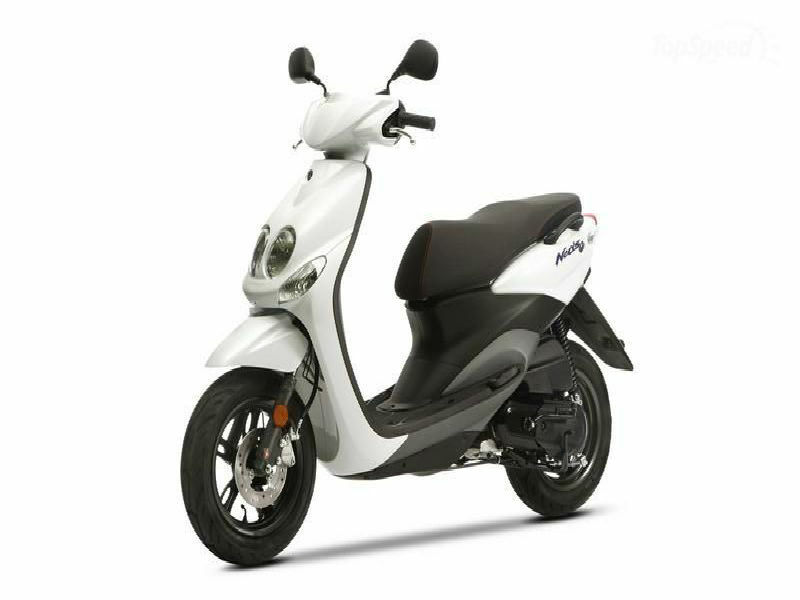 Yamaha Neo is a fuel efficient vehicle and is believed to give the mileage of about 45 kmpl. This trendy, attractive scooter is available in three different shades namely blue, black and white. The ex-show price of the vehicle is not known exactly but is expected to be somewhere close to Rs. 30,000.